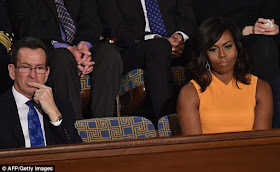 First Lady of the United States of America, Michelle Obama certainly made a statement with a bright dress for husband's optimistic final State of the Union address. 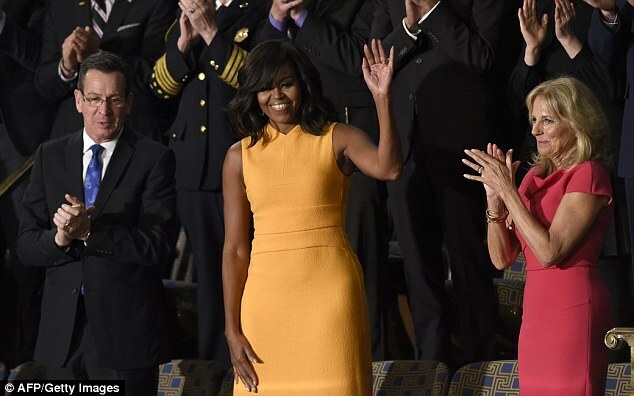 Michelle Obama opted for a show stopping sleeveless yellow wool and silk sheath dress from Narciso Rodriguez's Fall 2015 collection - priced $2,095. 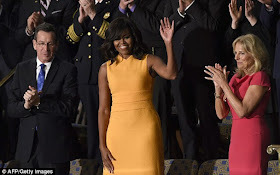 According to The Week magazine, the dress has already sold out! 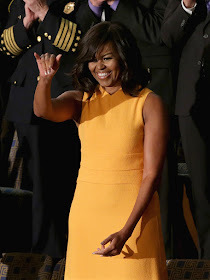 We can say she is the most stylish first lady in modern era. More photos after the cut..